All songs featured on this page were written by Kenny Gamble and Leon Huff except “I’m Gonna Make You Love Me, ” which was written by Gamble, Huff, and Jerry Ross. 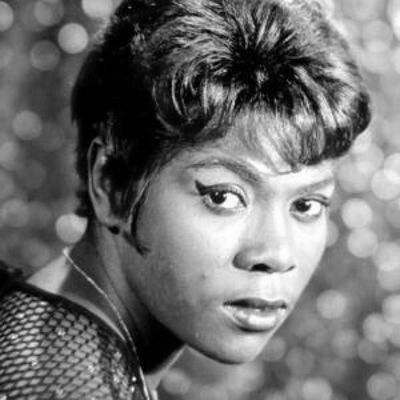 The song was introduced by Dee Dee Warwick in 1966. Other early recordings include those by Jerry Butler, Madeline Bell, Aesop’s Fables, Diana Ross & the Supremes and The Temptations, and Jay & the Techniques. On the corresponding UK single, the sides are reversed. The single (UK) Mercury MF 953, issued in December 1966, features “Yours Until Tomorrow” as the A-side and “I’m Gonna Make You Love Me” as the B-side. Diana Ross & the Supremes and The Temptations — A recording of “I’m Gonna Make You Love Me” is included on their collaborative album Diana Ross & the Supremes Join the Temptations, which was released on 8 November 1968. Less than two weeks later, a slightly shorter edit (2:56 vs. 3:05 on the album) was issued on the single Motown M 1137 (also M-1137, MOTOWN 1137, etc. ), b/w “A Place in the Sun.” It became a top ten hit, peaking at #2 for two weeks in December that year. The Intruders — issued in April 1967 on the single Gamble Records G-205, b/w “Up and Down the Ladder” (Gamble, Huff) — “Together” became the first top ten Billboard R&B single for the Intruders (#9), and reached #48 on the Hot 100 pop singles chart. “Expressway to Your Heart” was a #1 hit regionally in Philadelphia and New York in the fall of 1967, and the tune reached #4 on the Billboard Hot 100 nationally. “Expressway to Your Heart” spent 15 weeks in the charts and sold over one million copies. The recording features an arrangement by Bobby Martin. It became the best selling single by the group, their lone #1 Billboard R&B hit (one week, 11 May 1968), and their only crossover hit to break the top twenty (#6) of the Hot 100 pop chart. Gamble Records also released an Intruders album titled Cowboys to Girls in 1968, which includes “Cowboys to Girls” and “Turn the Hands of Time” as the first two tracks on side A, and nine other recordings. The Intruders — Gamble Records single G 4016, issued in September 1971, b/w “Do You Remember Yesterday” (Linda Creed, K. Gamble, Thom Bell); produced by Gamble & Huff, featuring an arrangement by Bobby Martin; #20 R&B, the 18th top 40 hit by the group since 1966.